Forever is the final book of The Wolves of Mercy Falls and this review contains spoilers for the previous two novels. You have been warned. When last seen, Grace was disappearing into Boundary Woods as a wolf, accompanied by a messed up rock star, leaving an empty room, shocked parents and a blood spattered, beaten Sam. As readers return to Mercy Falls in the climax of Maggie Stiefvater's series Sam is waiting, constantly waiting for Grace, Cole continues to dice with dusky death, although now in the name in science and hope and a cure and Isabel watches from the sidelines as her father strives to eliminate the wolves of Mercy Falls once and for all. Meanwhile, out in the woods Grace runs with her pack at once invigorated by her new life and confused by odd images of a boy with yellow eyes. And a lone white wolf watches, and waits. In this final installment of The Wolves of Mercy Falls, Maggie Stiefvater returns to the quadruple narrative of the previous novel, Linger with the story alternately narrated by Sam, Grace, Cole and Isabel. There was some mild criticism levied at Linger suggesting that at times the individuals were hard to distinguish from each other, while this may have been slightly true in Forever each voice is clear, defined and different from Sam and his introspection, to Grace and her determination, Cole and his darkness and Isabel in her strangely strong fragility. Of all the characters, Sam is probably the least changed at the start of the book. Still struggling to come to terms with his human future, he now has to deal with a cure that might not be a cure, a lost father figure whose stories keep unraveling, a rather destructive housemate and a girlfriend who's, well, less girlish and more, er, lupine. Typically, Sam thinks about this all a lot, running through his life up until now repeatedly looking for clues, errors and even escape. His tendency to mope (albeit charmingly) is unchanged but over the course of the novel he tentatively reaches not only inside himself, challenging his deepest fear but also outwards to those who not only care for him but who desperately need his leadership. He is, as ever, a beautifully drawn character. Of course, there would be no Sam without Grace and she remains the logic to his indecision. The majority of Grace's character development has happened, out of necessity, in earlier story lines and she now emerges as strong and capable. She remains devoted to Sam but never starry-eyed and her decisions regarding their relationship and future are made with a typically level head. The two of them complement each other so perfectly and also so realistically that at times they almost seem one character, something that is especially clear through the eyes of the other characters. Isabel is, in a way, similar to Grace – she's already changed so dramatically that she now watches events around her through new eyes. More attached to Sam and Grace than she thought possible, she's also drawn to Cole in a way that both irritates and thrills her. Of all the characters Isabel is perhaps the saddest. 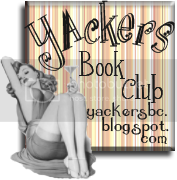 Her home life is clearly difficult, although the few short scenes between her and her mother are touching as is some of her inner dialogue regarding her parents – cleverly, readers are shown the shadows of what was once a happy family and it is clear that a large part of Isabel wants her parents back very dearly. However, the standout character of Forever has to be Cole. And not because he's hot. Really. 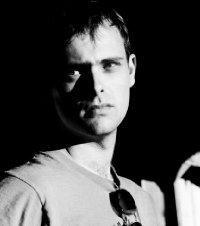 He, quite simply, is the most intriguing. Boy genius turned suicidal rocker turned wolf turned scientist shouldn't really work but it absolutely does. His dedication to the wolves and later to Sam, Grace and Isabel is fantastic to read, as is his personal journey. There is something absolutely compelling about a person who has to take themselves to the edge again and again only to realise that they might not really want to fall. 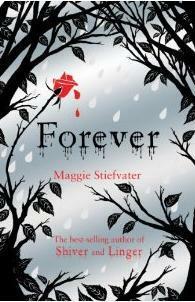 Forever is certainly the darkest book of this trilogy both in plot and imagery. Stiefvater delves deeper in what it actually is to shift from wolf to human and back again and it's not pretty, although cleverly done. There are some very dark moments and one scene involving a dying bird is particularly difficult to read. While the plot has essentially two main strands, increasingly it focuses on the imminent threat to the wolves and builds to a climax that roils with stunning imagery and staggering tension. However, the opposing story strand is left largely unconcluded with Stiefvater settling for much hope but few answers. While some readers may find this frustrating, in actuality it is a fitting ending to a story that is nothing if not character driven, with each character reaching a personal resolution completely in keeping with who they have grown to become. Finally, what lifts Forever above it's contemporaries (as with Shiver and Linger) is the quality of Maggie Stiefvater's writing – beautiful, dreamlike, haunting, lyrical... these are all words I've used before regarding this author's work and I am sure I will use them again. Forever and it's predecessors are books to get lost in – go and lose yourself right now, you won't regret it. Both Mercy and Kit have equal time spent upon them during The Rogue's Princess and this provides readers plenty of time to enjoy their often hilariously differences. Mercy is the epitome of goodness, dutifully spending her days praying and studying the scripture. W hen she's not doing these things she's generally thinking that she should be. She's a very sweet character, although sometimes rather annoyingly naïve. Her character development is believable, from her initial swooning over Kit to her slow realisation that she needn't compromise her faith nor her ability to be true to herself just because she has fallen in love. 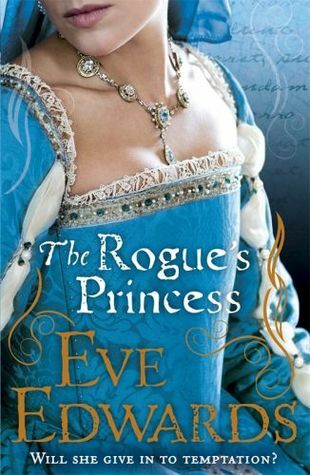 Like all the female characters in Eve Edwards series of Elizabethan books she displays true backbone – and because she starts of so quietly it's extremely satisfying to see her come into her own. Kit is a joy to read. First introduced in The Queen's Lady as a larger than life, somewhat angry young man, he has mellowed slightly in the intervening months. While certainly still ebullient he is clearly on easier terms with his personal history and certainly with his half brothers, the Laceys. However, rather than rely on his wealthy relatives he has continued to make his name upon the stage, regularly performing at The Globe under his mentor, Burbage. Kit is often very funny, his every action dramatic, his every garment garish but he is also a touching character to read. His sweet determination to woo Mercy regardless of convention is charmingly innocent for a man so aware of the very distinct societal fault-lines of Elizabethan England. Equally charming is the relationship he has with his half brothers, particularly young Tobias – their interactions are funny, believable and rather lovely. As with her earlier Elizabethan stories (The Last Countess and The Queen's Lady), Eve Edwards has kept her story deceptively simple and, at heart, rather predictable. Kit and Mercy are clearly destined to be together and there are no real surprises in store on that count – however, it is the subtly clever roads that Edwards leads her characters down that make her stories so completely readable. While it could be argued that the romance in The Rogue's Princess is rather rushed, it's speedy commencement merely leaves room to add in more interesting aspects. Elizabeth I still looms large over London and has become increasingly paranoid in recent times. While her Scottish cousin, Mary, languishes under lock and key the Queen is determined to hunt down any who oppose her and it is into these choppy and dangerous political times that Kit and Mercy, as well as the Lacey's find themselves wading. As previously, Eve Edwards has the ability to weave fascinating history into the lightest of stories and yet never veer towards incongruity. In addition to the political scene of the day, she has added the usual wealth of historical detail – her descriptions of fashions, living conditions and societal expectations continue to be a delight to read. Equally, her characters are beautifully drawn from the central twosome and familiar Lacey's to master Player Burbage and a dubiously hopeful young playwright going by the name of Will Shakespeare. As with The Other Countess and The Queen's Lady, I sat down to read The Rogue's Princess with some doubt in my mind – as I keep insisting, historical fiction just isn't my bag, baby - yet it is impossible to not be drawn into these charming stories that are on one hand gloriously fluffy and on the other intriguingly interesting, I will certainly be reading whatever comes next. The Rogue's Princess is available now, thank you to Puffin for sending me a copy to review. 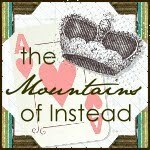 Additionally, if you're a UK book blogger then keep an eye on the new look UKBT for a tour of this title. As some of you will be aware, UK Book Tours, as was, is no longer. The fabulous Lynsey worked tirelessly to create a UK focused book tour site and while, sadly, she is unable to continue to run what is an extremely admin. heavy project, a few of us have happily taken over. Yep, myself Carly (of Writing From The Tub) and Emma (from Bookangel Utopia) are the proud custodians of an all new UKBT. We have a new blog address, have given it a smart lick of paint and are due to launch on Monday 11th July. In fact, next week there will be three tours announced to set the UKBT ship a-sailing (sorry, but I've got to justify the ship logo somehow and if that means using pirate-isms at all points then yo bloody ho). So, shiver your timbers and pop over there, make sure you're following us, check out the information section and be ready to sign up when our first tour is announced on Monday! Following our initial launch there will be a book tour each week as well as other interesting bits and bobs going on - keep your eyes especially well peeled for our quarterly prize draws, you never know what might be on offer. So until Monday, clamber up the UKBT rigging and keep yer main sails braced - books are just waiting to sail their way to you. Jacob has grown up with his grandfather’s strange tales. Stories of a fantastical orphanage, filled with bizarre inhabitants and run by a mysterious Bird. While the orphanage is always portrayed as a place of sanctuary, Abe’s stories also have their darker side with monsters lurking against the backdrop of the second World War. As a child, Jacob is entranced by Abe, his supposed life history and the strange photographs that illustrate it, yet as he grows older his enchantment turns to feelings of disappointment and vague betrayal as he realises that his Grandfather’s monsters are really metaphors for the very real horrors of the holocaust. Or are they? After a truly traumatic event, Jacob finds himself driven to explore Abe’s past, his tall tales and above all Miss Peregrine’s Home For Peculiar Children. As a character, Jacob is pretty interesting. At sixteen he seems unduly cynical about his family, the world and his place in both. With Abe’s encouragement he spent a joyful, if somewhat removed, childhood dreaming of world exploration and intrepid exhibitions. While his parents were quick to squash what they saw as unrealistic aims, he remains entirely disenchanted with his life and certainly with his future. Abe, to him, has become a rambling old man worthy of care but certainly not of faith. However, over the course of the novel, Jacob’s life changes completely and so does his character. As possibilities open before him, he becomes less detached – ironically, in terms of the novel’s plot, he starts to live in the now as opposed to merely existing through tales of the past. While Abe is not physically about for much of the story, his character is an overwhelmingly strong presence throughout. 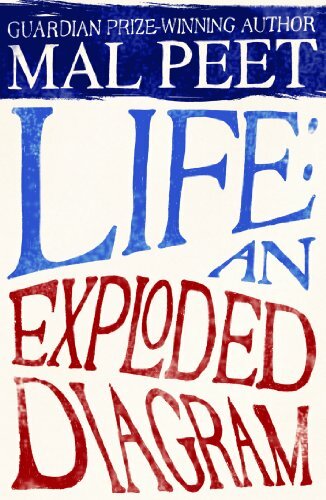 The story of his life is entirely gripping, in its wildly varying aspects and his relationship to both his families often heart-breaking. The rest of Jacob’s family are fairly lightly sketched. Jacob has little time for them and one often suspects that his narration lacks objectivity, particularly in terms of his mother. Later, though, his relationship with his father is explored in terms of his father’s relationship with Abe – this aspect of the novel is sketched with a skilled yet light hand and is both sad and touching. To talk of any other characters in this book would be to spoil the reading experience for those of you yet to partake, suffice to say that these are a group unlike any I have ever come across and are entirely delightful and unnerving to spend time with. The plot of Miss Peregrine’s Home For Peculiar Children is as wonderfully bizarre as its title. Moving from the balmy heat of Florida to the somewhat foggy climes of a small Welsh island Ransom Riggs manages, amazingly, to avoid any incongruity with both place settings oddly complementing the other while also giving Jacob a vital sense of displacement (strangely, in both). As the story progresses it becomes increasingly surreal yet never loses pace, nor becomes confusing (despite some highly original and unfamiliar mythology). Both Jacob and the mysterious Miss Peregrine have such a terribly matter of fact turn of phrase that what should seem strange instead makes an odd sort of sense. The story is, like Abe’s, both charmingly magical and yet unrelentingly sinister and the juxtaposition of fantastical horrors with the very real monsters of history is both clever and chilling. It is impossible to talk about this book without mentioning the way that it looks. Printed on gorgeous, thick stock it feels amazing - this is one of these beautiful books that really sticks two fingers up at the Kindle generation (while still be available in both formats). Scattered through the pages are the oddest selection of vintage photographs, each illustrating the story in their oddly beautiful way. What makes these images extraordinary is their very validity – these are not newly posed, nor photoshopped into oblivion but a real window into the past. It’s impossible to separate the story and the images – they have an entirely symbiotic relationship and by using both Ransom Riggs has created not just an exceptional debut novel but also a disconcerting work of art. Miss Peregrine’s Home For Peculiar Children is unlike any book I’ve ever read, yet embodies aspects of many that I admire. There are shades of A Series of Unfortunate Events and Alice Through The Looking Glass in the story telling and similarities to the recent A Monster Calls and The Sky Is Everywhere in the realisation of the book as an object but ultimately Ransom Riggs has written a story that is entirely its own – and absolutely one that you all should read. I will be interviewing Ransom later in the month and really cannot wait to find out more about this books genesis – I suspect its story is fascinating. 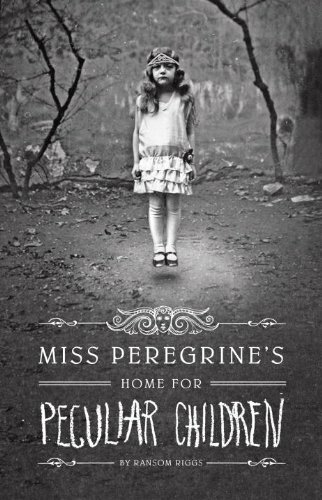 Until then, get your hands on a copy – Miss Peregrine’s Home For Peculiar Children is a title that I highly recommend. Miss Peregrine's Home For Peculiar Children is available now. Thank you to Quirk Books for sending me this title to review.